What shines brighter than rubies? Is more precious than sapphires? And makes you feel richer than emeralds? Precious moments of well-being. 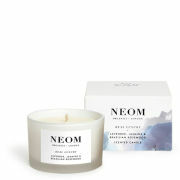 NEOM Christmas Wish 1 Wick Scented Candle is a comforting blend of 13 pure essential oils including Mandarin, Cinnamon and Tonka Bean to help you relax and unwind, whilst surrounding your home with the soothing, traditional scent of Christmas. Burn for a minimum of 2 hours and a maximum of 4. 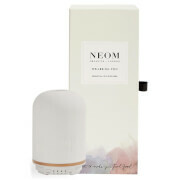 This will ensure the wax burns evenly and the treatment takes effect as you breathe in the scented air.